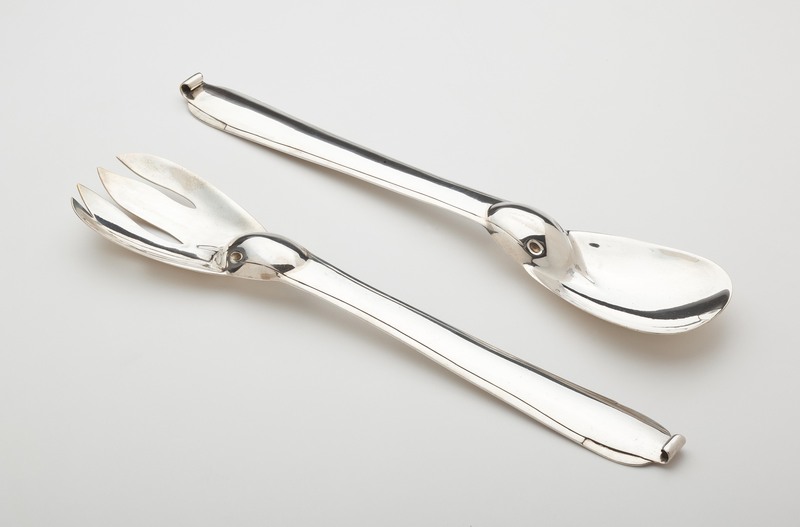 A large pair of sterling silver salad servers by William Spratling (1900-1967), The long (11 1/2") servers are highlighted by a sculpted neck resembling a ducks bill. The handle is further accented with incised line and curled end decoration. Signed with the conjoined WS mark dating the servers for 1962-64 and the government's eagle 30 mark. Excellent. Slight surface scratches consistent with age and wear.